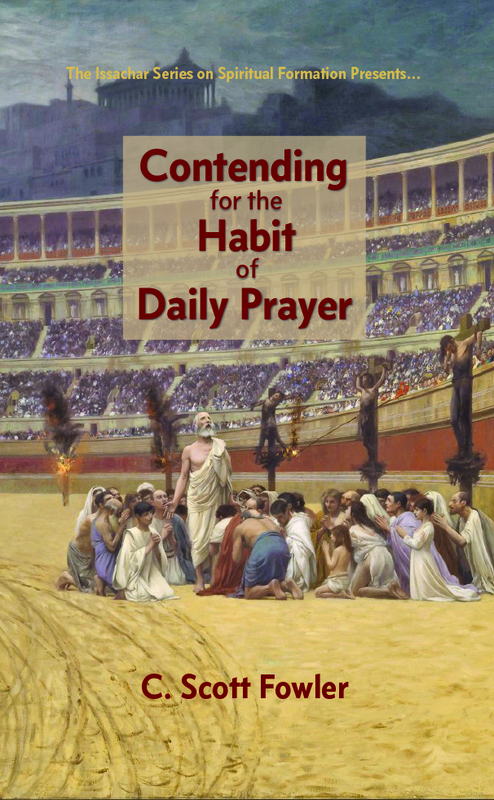 The following is an excerpt from Scott Fowler, Contending for the Habit of Daily Prayer. New York: Issachar Imprints. 2016. There are two things we need to be comfortable with if we are to successfully cultivate a meaningful, dynamic prayer life. The first is ourselves—being comfortable in “our own skin” as they say. It may not make sense to everyone, but we have to allow ourselves legitimacy in prayer. True, we are imperfect and can point out all the ways in which we are inadequate and disqualified for prayer. But we have not been invited into the Secret Place because of our adequacy or qualifications! On the contrary, it is through the blood of Jesus and His utter qualification that we are allowed—No, invited! No, compelled to enter into the Most Holy Place! Therefore, brothers, since we have confidence to enter the Most Holy Place by the blood of Jesus, by a new and living way opened for us through the curtain, that is, his body, and since we have a great priest over the house of God, let us draw near to God with a sincere heart in full assurance of faith, having our hearts sprinkled to cleanse us from a guilty conscience and having our bodies washed with pure water (Hebrews 10:19-22, NIV). However, to the man who does not work but trusts God who justifies the wicked, his faith is credited as righteousness (Romans 4:5, NIV). Second, it may be difficult for some to cultivate a meaningful, dynamic prayer life because their families are not prepared to lend them legitimacy in prayer. Our families have witnessed our shortcomings and failures and may take the lower road of judging us for what they have seen in us rather than for what God and His Word says is possible in us. For this reason, we should never present ourselves as being superior because we are pursuing prayer, but rather we should humbly acknowledge our inadequacies and hide completely behind God’s mercy and love. In the end, we must pursue God in the Secret Place regardless of others’ opinion of us! Dr. Scott Fowler is the Pastor of Assimilation and Discipleship at Smithtown Gospel Tabernacle on Long Island. Praising God for you this morning, Pastor Scott!